For Affilate & Instructors Rules click here. These five principles, simple and clear as ideals to which we aspire, always becoming more complex and less clear in practice. How, exactly, do we pursue these goals through our physical training? First and foremost through manners and proper attitude. Manners are important things because they remind us that we must always take care of and have regard for others and what is proper etiquette. Maintaining good manners and proper etiquette during our physical training helps keep us focused on the correct goals of training. Proper attitude means simply to do our best with the clearest mind possible. This means that when we begin our physical training, we clear our minds of all the clutter from everyday life and focus simply and fully on doing the training. The only important point is to do the training with maximum effort and make no judgements or criticisms about the apparent or outward success of the movements. The success is in the effort and clarity of mind. We are always much more interested in mental attitude and development than we are in developing physical or technical skill. We begin and end each training session with meditation that assists us in maintaining proper attitude in our training. One of the most beautiful aspects of karate-do training is that it is not necessary to fully comprehend the philosophy behind the practice to successfully practice it. If the instruction is correct and proper, imparted with a fundamental respect and good manners, the students will learn far more by doing karate than by any intellectual effort to understand. Ultimately we must pursue both, but the physical training is the foundation of all understanding. This instructors portfolio will be issued to all members of the M.S.K.F who will be teaching classes. All information within this portfolio should be used as a guide only offering helpful information to aide the safe running of classes. Any disagreements with information within the portfolio must be taken up with the official panel of senior instructors. With the final decision being taken by the senior M.S.K.F. official. a) The M.S.K.F will offer all the help and advice regarding running your club should you require it. As long as your club conforms to the licence rules regarding insurance, and accidents. There will be no interference at all from any M.S.K.F officials. b) Each club will follow their own grading procedures setting their own standards. You will be supplied with our existing curriculum should you wish to adopt it. c) The cost of gradings, lessons, will be decided by the head of each club and not the M.S.K.F. Copies of current prices will be provided for a guide only. 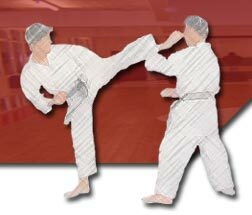 d) Each clubs senior instructor will decide the frequency of gradings. At Dan grade level the M.S.K.F will insist that you follow the 1year per Dan rule laid down by the E.K.G.B and other governing bodies. a) Each club must appoint a licence officer who can be contacted and able to answer any queries regarding licensing issues for their club. b) New students training in your club are covered by the federation insurance for two visits. After the subsequent two visits the new student must fill in a formal license application form providing two photographs. The M.S.K.F will then pay the licence fee to cover the new student for a further 1 month after that time the student must then pay the full license fee back to the M.S.K.F to complete the year. d) An M.S.K.F license is only valid if it contains an official insurance slip signed by either the head of the federation (P.Smith) or the senior license officer (Marie Gibson). e) Any senior instructor who holds a current license with the M.S.K.F can contact the insurance body regarding questions they may have about the policy. A copy of the certificate and all the clauses held by the M.S.K.F are available on request. f) The M.S.K.F will provide one instructors insurance free for every 35 students that join the M.S.K.F and are licensed. If a club has 70 students they are entitled to 2 free instructors insurances. Should you wish to insure more instructors you can at a cost of £80 per instructor direct with the insurance company or through the M.S.K.F. a) All clubs will be provided with a new accident book this remains the property of the M.S.K.F. b) All accidents that need treatment must be recorded in the accident book. The sheet must then be removed from the book in accordance with the data protection act and sent to head office within 1 week. c) In the event of a claim being made individual club senior instructors can contact the insurance company direct for a claim form but you must inform head office regarding your actions. (Having spoken to the insurance company they would prefer all claims to go via the organisation head). a) All senior instructors who teach their own clubs will have to be checked by an umbrella group (the old police search) to ascertain their suitability to teach children. The M.S.K.F has a facility in place for this to be done. b) All instructors must be aware of the M.S.K.F child protection policy provided and abide by it. This policy is for your own protection as much as the children. We have recently appointed a child protection officer Mr John Tate who can answer any questions you may have.